* This is a quirky story from history that has long intrigued me, partly because the outlandish plot to usurp the first Tudor King of England was hatched in my home-town, the southern Irish port city of Cork. It's also the real reason why Cork is still called "The Rebel City", a title that has nothing to do (as most people think) with Michael Collins and the 20th century fight for Irish independence. In fact, the title is not so much about Michael Collins as Derek Zoolander. "some dudes brainwashed Derek to off the prime minister of Micronesia!" It's a strange one - the tale of a late medieval male model who suddenly found himself thrust into centre-stage in the European power-politics of the day. It's the story of a charismatic, foolish young man who found out there was more to life than being really, really, ridiculously good-looking. * In the autumn of 1491, a Flemish merchant's ship docked in the southern Irish port of Cork. The city had been welcoming trade from the continent for centuries and the small ship, loaded with fine silks, furs and other luxury goods, would not have excited much comment. On board was a Breton silk-merchant called Pierre Jean Meno and his young apprentice, the son of a poor but respectable burgess of Tournai called Jehan de Werbecque. The apprentice was 17-year-old Perkin Werbecque. These were turbulent times in Ireland, Britain and beyond. Ireland was still a stronghold of the York family, who had been defeated by the Plantagenets in the recent, insanely complicated dynastic struggle known to us as the Wars of The Roses (My kingdom for a horse, and all that). The Yorkists still believed they could take back the crown from the usurper Henry VII (father of Henry VIII of...er...Wolf Hall fame). But they lacked a candidate to unite around, the York family men being prone to having large steel blades inserted into various parts of their bodies. Henry VII was the first Tudor monarch, having invaded from France and seized the throne from the Plantagenet King Richard III (whose body was recently found under a car-park in Leicester) who in turn had taken it from the 12-year-old Edward V, one of the two Princes In The Tower, who had disappeared while being "protected" by Richard in the Tower of London (try to keep up). So! Confused times. And into this, or at least into the small port of Cork, many miles across the sea from London, walked the handsome young apprentice, Perkin Warbeck. His job, while in Cork, was to be a sort of Male Model. He would don his master's finest silk clothes, stroll about the town and basically act as a human mannequin, telling those who asked where they could find the merchant with the exquisite cloth. And Perkin was, by all accounts, a handsome and charismatic kid. So charismatic, that the rumour soon went around the city that this beautiful, finely dressed young man with a funny accent must be an aristocrat. In fact, as the whole of Cork was soon saying, he was really the Earl of Warwick, one of the many missing Yorkist noblemen with a claim to the Crown Of England, Wales and Ireland! Sure, he didn't exactly speak English. But look at those clothes! That fine face and noble carriage! He HAD to be a nobleman! As the tumult went up and the mob gathered, Perkin denied that he was the Earl. No, he was in fact....Richard, Duke of York, one of the disappeared "Princes In The Tower" and the one true King! Historians have long argued how, exactly, Perkin pulled this one out of his silk-clad arse (although they tend to dress up the language a bit). Was he a foolish young man, who knew all of the stories about the tragic Princes which had scandalised Europe, and gotten a little carried away with all the attention? Or had he been sent by the French king to ferment trouble for the current King of England, whose grasp on the crown was shaky at best? But whatever the reason - this was SENSATIONAL! The Duke of York, in Cork! The streets ran wild with Yorkist sentiment. Cork had some previous in the Pretender Game. Just a few years earlier they had welcomed another unlikely claimant to the Throne of England, a young man called Lambert Simnell, who had arrived in Cork, was proclaimed Earl Of Warwick (who apparently made more comebacks than Sinatra) and managed to lead a rebellion into England which was finally defeated in battle, but not before Henry VII had gotten quite the shock. For the vocal support of both Simnell and Warbeck, Cork would be dubbed a "Rebel City" by King Henry VII, a moniker that has stuck to this day. Having seen Simnell come a cropper, the people and city fathers of Cork were a little less hasty when it came to Warbeck. He was given a bit of a party and then sent on his way back to France with plenty of "Good luck to ye now, and if it all works out well with the whole Claiming the Crown thing, make sure to get back to us!". The French King Charles VIII did welcome Warbeck/Richard and - together with Margaret of Burgundy - backed his claim. Further headaches came for Henry VII when the Holy Roman Emperor Maximilian (the real Big Cheese) also recognised the good-looking guy in silk. It looked like serious trouble for Henry. But he was a smart operator with a very good spy network in Europe who informed him of two salient facts. Firstly, the support for Warbeck amongst his kingly rivals was luke-warm at best. And secondly, Emperor Max had money problems and his attention on Italy. Henry wisely bided his time. When Warbeck and his small band of supporters tried to invade England at Deal in 1485, it turned into a fiasco and Warbeck was forced to sail first to Ireland and then to Scotland to try and find a safe haven and regroup. In August 1497, after more adventures and another failed attempt at invasion, he was persuaded to give himself up at an Abbey in England, where he had tried to claim sanctuary. Henry was remarkably lenient with the young man, keeping him at court so he could keep an eye on him. 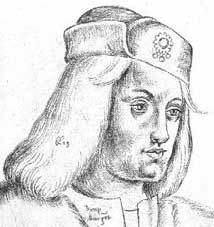 But after he tried to run away several times, the King's patience ran out and Perkin was tried and executed in London on November 23rd, 1499. He was 28. 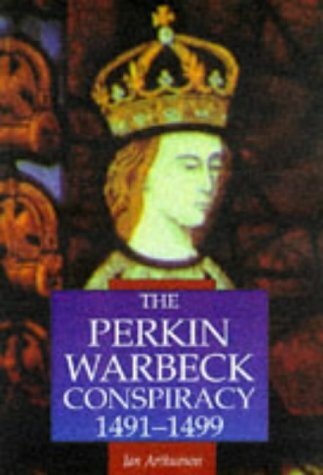 At best, Perkin Warbeck was just the dupe of powerful men involved in the long-running dynastic squabbles of the era. They said he went to his death with dignity. And dressed in a simple white linen smock. I love the comment above about people leaving comments! Cracking! Thanks Keith - glad you enjoyed the piece and thanks for your comment about my comment on comments - thanks for commenting!